The majority of medical schools in the United States have abolished dog labs from their curricula. Columbia, Harvard, Stanford and Yale all introduce physiology to their students with other, more applicable methods. A significant number of medical schools, however, continue using dog labs. Some students and professors argue that dog labs provide first-year medical students with valuable hands-on surgical experience during a time when reading and lecture predominates their education. Yet many experts argue that dog labs are not only cruel, but are useless to a medical student's understanding of the human body. Two organizations in particular, the Physicians Committee for Responsible Medicine and Americans for Responsible Medical Advancement, oppose dog labs, arguing that humane and more relevant alternatives to animal dissection exist and should be utilized by all medical schools. In university dog labs, a large number of dogs are anaesthetized, typically before the students see them. Students inject the dogs with drugs, then vivisect them so that the reaction of the internal organs can be observed. At the end of the session, the dogs are killed. The Harvard University Medical school no longer uses dog labs. Instead, students observe human surgery in an operating theatre. Students get to see patients being anaesthetized, an element missing from most dog labs. Observing human surgery also gives students a lesson in human anatomy that they could never learn from dissecting a dog. In addition, students have the solace of knowing that they are watching a life being saved, and not taking part in an animal's destruction. According to the Physicians Committee for Responsible Medicine, most medical schools have eliminated dog labs from their curricula. Yet several schools still continue the practice. Fortunately, increased publicity surrounding dog labs and resulting public pressure have forced many of these medical schools to allow students to opt out of dog labs for moral or religious reasons. 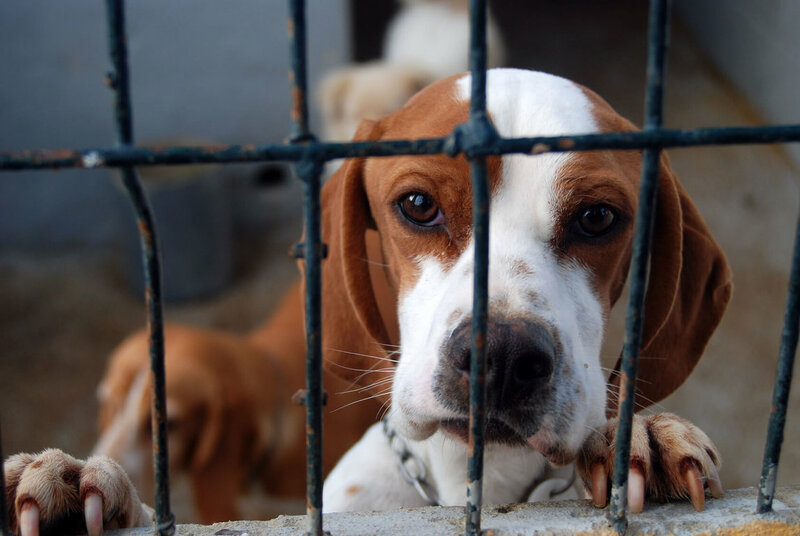 Other schools have placed moratoriums on dog labs or disbanded the practice altogether, because of concerns that disreputable sources supplied the dogs for those labs. "Class B" dealers often procure animals from questionable sources. Several instances of pet theft have been linked to these dealers. In turn, medical schools and research labs buy many animals from Class B dealers, and investigators believe that stolen dogs sometimes wind up on the operating tables of medical students. Dog labs are obsolete and cruel. Humane and more applicable alternatives to dog labs exist; reason enough to eliminate dog labs, regardless of questions concerning the procurement of the animals.